Replica of an East Indiaman of the Dutch East India Company/United East India Company (VOC). The VOC is often considered by many to be the world's first formally listed public company and the first historical model of the multinational corporation (or transnational corporation) in its modern sense. A multinational corporation (MNC) or worldwide enterprise  is a corporate organization which owns or controls production of goods or services in at least one country other than its home country. Black's Law Dictionary suggests that a company or group should be considered a multinational corporation if it derives 25% or more of its revenue from out-of-home-country operations. A multinational corporation can also be referred to as a multinational enterprise (MNE), a transnational enterprise (TNE), a transnational corporation (TNC), an international corporation, or a stateless corporation. There are subtle but real differences between these three labels, as well as multinational corporation and worldwide enterprise. A multinational corporation (MNC) is usually a large corporation incorporated in one country which produces or sells goods or services in various countries. The two main characteristics of MNCs are their large size and the fact that their worldwide activities are centrally controlled by the parent companies. MNCs may gain from their global presence in a variety of ways. First of all, MNCs can benefit from the economy of scale by spreading R&D expenditures and advertising costs over their global sales, pooling global purchasing power over suppliers, and utilizing their technological and managerial know-how globally with minimal additional costs. Furthermore, MNCs can use their global presence to take advantage of underpriced labor services available in certain developing countries, and gain access to special R&D capabilities residing in advanced foreign countries. The problem of moral and legal constraints upon the behavior of multinational corporations, given that they are effectively "stateless" actors, is one of several urgent global socioeconomic problems that emerged during the late twentieth century. Potentially, the best concept for analyzing society's governance limitations over modern corporations is the concept of "stateless corporations". Coined at least as early as 1991 in Business Week, the conception was theoretically clarified in 1993: that an empirical strategy for defining a stateless corporation is with analytical tools at the intersection between demographic analysis and transportation research. This intersection is known as logistics management, and it describes the importance of rapidly increasing global mobility of resources. In a long history of analysis of multinational corporations we are some quarter century into an era of stateless corporations - corporations which meet the realities of the needs of source materials on a worldwide basis and to produce and customize products for individual countries. One of the first multinational business organizations, the East India Company, was established in 1601. 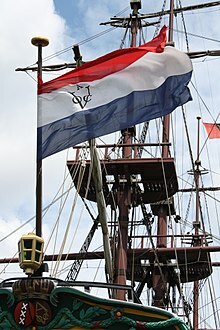 After the East India Company, came the Dutch East India Company, founded March 20, 1603, which would become the largest company in the world for nearly 200 years. Many large multinational companies have varying degrees of monopoly in some area, due to economic and technical strength or production advantages. Multinational corporations can select from a variety of jurisdictions for various subsidiaries, but the ultimate parent company can select a single legal domicile; The Economist suggests that the Netherlands has become a popular choice, as its company laws have fewer requirements for meetings, compensation, and audit committees, and Great Britain had advantages due to laws on withholding dividends and a double-taxation treaty with the United States. Corporations can legally engage in tax avoidance through their choice of jurisdiction, but must be careful to avoid illegal tax evasion. Multinational corporations may be subject to the laws and regulations of both their domicile and the additional jurisdictions where they are engaged in business. In some cases, the jurisdiction can help to avoid burdensome laws, but regulatory statutes often target the "enterprise" with statutory language around "control". For small corporations, registering a foreign subsidiary can be expensive and complex, involving fees, signatures, and forms; a professional employer organization (PEO) is sometimes advertised as a cheaper and simpler alternative, but not all jurisdictions have laws accepting these types of arrangements. Disputes between corporations in different nations is often handled through international arbitration. The actions of multinational corporations are strongly supported by economic liberalism and free market system in a globalized international society. According to the economic realist view, individuals act in rational ways to maximize their self-interest and therefore, when individuals act rationally, markets are created and they function best in free market system where there is little government interference. As a result, international wealth is maximized with free exchange of goods and services. To many economic liberals, multinational corporations are the vanguard of the liberal order. They are the embodiment par excellence of the liberal ideal of an interdependent world economy. They have taken the integration of national economies beyond trade and money to the internationalization of production. For the first time in history, production, marketing, and investment are being organized on a global scale rather than in terms of isolated national economies. International business is also a specialist field of academic research. Economic theories of the multinational corporation include internalization theory and the eclectic paradigm. The latter is also known as the OLI framework. Ernest Dichter, architect, of Exxon's international campaign, writing in the Harvard Business Review in 1963, was fully aware that the means to overcoming cultural resistance depended on an "understanding" of the countries in which a corporation operated. He observed that companies with "foresight to capitalize on international opportunities" must recognize that "cultural anthropology will be an important tool for competitive marketing". However, the projected outcome of this was not the assimilation of international firms into national cultures, but the creation of a "world customer". The idea of a global corporate village entailed the management and reconstitution of parochial attachments to one's nation. It involved not a denial of the naturalness of national attachments, but an internationalization of the way a nation defines itself. The United East India Company (VOC) was a pioneering early model of the multinational/transnational corporation at the dawn of modern capitalism. The Fort Batavia, seen from West Kali Besar (Andries Beeckman, c. 1656). In Batavia in 1610 the VOC established its overseas administrative centre, as the second headquarters, with a Governor-General in charge, as the Company's de facto chief executive. The Company also had important operations elsewhere. A transnational corporation differs from a traditional multinational corporation in that it does not identify itself with one national home. While traditional multinational corporations are national companies with foreign subsidiaries, transnational corporations spread out their operations in many countries to sustain high levels of local responsiveness. An example of a transnational corporation is Nestlé, who employ senior executives from many countries and tries to make decisions from a global perspective rather than from one centralized headquarters. Another example is Royal Dutch Shell, whose headquarters are in The Hague, Netherlands, but whose registered office and main executive body are headquartered in London, United Kingdom. "Multinational enterprise" (MNE) is the term used by international economist and similarly defined with the multinational corporation (MNC) as an enterprise that controls and manages production establishments, known as plants located in at least two countries. The multinational enterprise (MNE) will engage in foreign direct investment (FDI) as the firm makes direct investments in host country plants for equity ownership and managerial control to avoid some transaction costs. The history of multinational corporations is closely intertwined with the history of colonialism, the first multinational corporations being founded to undertake colonial expeditions at the behest of their European monarchical patrons. Prior to the era of New Imperialism, a majority European colonies not held by the Spanish and Portuguese crowns were administered by chartered multinational corporations. Examples of such corporations include the British East India Company, the Swedish Africa Company, and the Hudson's Bay Company. These early corporations facilitated colonialism by engaging in international trade and exploration, and creating colonial trading posts. Many of these corporations, such as the South Australia Company and the Virginia Company, played a direct role in formal colonization by creating and maintaining settler colonies. Without exception these early corporations created differential economic outcomes between their home country and their colonies via a process of exploiting colonial resources and labour, and investing the resultant profits and net gain in the home country. The end result of this process was the enrichment of the colonizer and the impoverishment of the colonized. Some multinational corporations, such as the Royal African Company, were also responsible for the logistical component of the Atlantic slave trade, maintaining the ships and ports required for this vast enterprise. During the 19th century, formal corporate rule over colonial holdings largely gave way to state-controlled colonies, however corporate control over colonial economic affairs persisted in a majority of colonies. During the process of decolonization, the European colonial charter companies were disbanded, with the final colonial corporation, the Mozambique Company, dissolving in 1972. However the economic impact of corporate colonial exploitation has proved to be lasting and far reaching, with some commentators asserting that this impact is among the chief causes of contemporary global income inequality. Contemporary critics of multinational corporations have charged that some present day multinational corporations follow the pattern of exploitation and differential wealth distribution established by the now defunct colonial charter corporations, particularly with regards to corporations based in the developed world that operate resource extraction enterprises in the developing world, such as Royal Dutch Shell, and Barrick Gold. Some of these critics argue that the operations of multinational corporations in the developing world take place within the broader context of neocolonialism. However, multinational corporations from emerging markets are playing an ever-greater role, increasingly impacting the global economy. Anti-corporate advocates criticize multinational corporations for being without a basis in a national ethos, being ultimately without a specific nationhood, and that this lack of an ethos appears in their ways of operating as they enter into contracts with countries that have low human rights or environmental standards. In the world economy facilitated by multinational corporations, capital will increasingly be able to play workers, communities, and nations off against one another as they demand tax, regulation and wage concessions while threatening to move. In other words, increased mobility of multinational corporations benefit capital while workers and communities lose. Some negative outcomes generated by multinational corporations include increased inequality, unemployment, and wage stagnation. The aggressive use of tax avoidance schemes, and multinational tax havens, allows multinational corporations to gain competitive advantages over small and medium-sized enterprises. Organizations such as the Tax Justice Network criticize governments for allowing multinational organizations to escape tax, particularly by using base erosion and profit shifting (BEPS) tax tools, since less money can be spent for public services. ^ Sayle, Murray (5 April 2001). "Japan goes Dutch". London Review of Books, Vol. 23 No. 7. Retrieved 13 March 2018. Murray Sayle: "The Netherlands United East Indies Company (Verenigde Oostindische Compagnie, or VOC), founded in 1602, was the world's first multinational, joint-stock, limited liability corporation – as well as its first government-backed trading cartel. Our own East India Company, founded in 1600, remained a coffee-house clique until 1657, when it, too, began selling shares, not in individual voyages, but in the Company itself, by which time its Dutch rival was by far the biggest commercial enterprise the world had known." ^ Phelan, Ben (7 Jan 2013). "Dutch East India Company: The World's First Multinational". PBS.org. Retrieved 8 August 2017. ^ Taylor, Bryan (6 Nov 2013). "The Rise and Fall of the Largest Corporation in History". BusinessInsider.com. Retrieved 8 August 2017. ^ Roberts, Keith (15 March 2015). "Corporate Colonization of Wisconsin, Part IV — The Dutch East India Company and the Koch Wisconsin Company". MiddleWisconsin.org. Retrieved 25 May 2018. ^ Partridge, Matthew (20 March 2015). "This day in history: 20 March 1602: Dutch East India Company formed". MoneyWeek.com. Retrieved 20 May 2018. ^ Grenville, Stephen (3 November 2017). "The first global supply chain". Lowy Institute. Retrieved 28 May 2018. ^ Hennigan, Michael (22 January 2018). "First Modern Economy: Myths on tulips & most valuable firm in history". Finfacts.ie (Irish Finance and Business Portal). Retrieved 22 May 2018. ^ Pitelis, Christos; Roger Sugden (2000). The nature of the transnational firm. Routledge. p. H72. ISBN 0-415-16787-6. ^ Roy D. Voorhees, Emerson L. Seim, and John I. Coppett, "Global Logistics and Stateless Corporations," Transportation Practitioners Journal 59, 2 (Winter 1992): 144-51. ^ Doob, Christopher M. (2014). Social Inequality and Social Stratification in US Society. Pearson Education Inc.
^ "Role of Multinational Corporations". T. Romana College. Archived from the original on 27 November 2017. Retrieved 3 January 2019. ^ Eun, Cheol S.; Resnick, Bruce G. (2014). International Financial Management,6th Edition. Beijing Chengxin Weiye Printing Inc.
^ Koenig-Archibugi, Mathias. "Transnational Corporations and Public Accountability" (PDF). Gary 2004: 106. Retrieved 2 February 2016. Krugman, Paul (20 March 1998). "In Praise of Cheap Labor: Bad Jobs at Bad Wages Are Better than No Jobs at All". Slate. Retrieved 2 February 2016. ^ Holstein, William J. et al., "The Stateless Corporation", Business Week (May 14, 1991), p. 98. Roy D. Voorhees, Emerson L. Seim, and John I. Coppett, "Global Logistics and Stateless Corporations", Transportation Practitioners Journal 59, 2 (Winter 1993): 144-51. ^ "GlobalInc. An Atlas of The Multinational Corporation" Medard Gabel & Henry Bruner, New York: The New Press, 2004. ISBN 1-56584-727-X". Archived from the original on 2004-12-22. ^ a b "Here, there and everywhere: Why some businesses choose multiple corporate citizenships". The Economist. Retrieved 2018-11-25. ^ a b Phillip, Blumberg, (1990). "The Corporate Entity in an Era of Multinational Corporations". OpenCommons@UConn. ^ a b "10 Reasons You Should Not Create a Foreign Subsidiary". Velocity Global. 2015-07-17. Archived from the original on 2018-11-25. Retrieved 2018-11-25. ^ "Outsourcing Options for FDI into China - China Briefing News". China Briefing News. 2017-07-12. Archived from the original on 2018-11-25. Retrieved 2018-11-25. ^ Mingst, Karen A. (2014). Essentials of international relations. W. W. Norton & Company. p. 310. ISBN 978-0-393-92195-3. ^ Mingst, Karen A. (2015). Essentials of international relations. W. W. Norton & Company. p. 311. ISBN 978-0-393-92195-3. ^ Gilpin, Robert (1975). Three models of the future. International Organization. p. 39. ^ James, Paul (1984). "Australia in the Corporate Image: A New Nationalism". Arena (63): 68. See also, Richard Barnet and Ronald Muller, Global Reach: The Power of Multinational Corporations, New York, Simon and Schuster, 1975, p. 30. On page 21 Barnet and Muller quote the Chairman of the Unilever Corporation as saying: "The Nation-State will not wither away. A positive role will have to be found for it." ^ Drucker, Peter F. (1997). The Global Economy and the Nation State. Council on Foreign Relations. p. 167. ^ Case study: The Relationship between the Structure/Strategy of Multinational Corporations and Patterns of Knowledge Sharing within them (PDF). Oxford University Press. 2009. ^ Schermerhorn, John R. (2009). Exploring Management. John Wiley and Sons. p. 387. ISBN 0-470-16964-8. ^ E., Caves, Richard (2007). Multinational enterprise and economic analysis. Cambridge University Press. p. 1. ISBN 9780521677530. OCLC 272997700. ^ E., Caves, Richard (2007). Multinational enterprise and economic analysis. Cambridge University Press. p. 69. ISBN 9780521677530. OCLC 272997700. ^ Jeffrey, Alex, and Joe Painter. "Imperialism and Post colonialism." Political Geography: An Introduction to Space and Power. London: SAGE, 2009. 174-75. Print. ^ Robins, Nick. "This Imperious Company." The Corporation That Changed the World How the East India Company Shaped the Modern Multinational. London: Pluto, 2006. 24-25. Print. ^ Robins, Nick. The Corporation That Changed the World How the East India Company Shaped the Modern Multinational. London: Pluto, 2006. Print. ^ Royle, Stephen A. Company, Crown and Colony: The Hudson's Bay Company and Territorial Endeavor in Western Canada. London: I.B. Tauris, 2011. Print. ^ a b c d Micklethwait, John, and Adrian Wooldridge. 2003. The company: A short history of a revolutionary idea. New York: Modern Library. ^ Howe, Stephen. "Empire by Sea." Empire: A Very Short Introduction. Oxford: Oxford UP, 2002. 77-80. Print. ^ a b Angeles, Luis. "Income Inequality and Colonialism" (PDF). European Economic Review 51.5 (2007): 1155-176. Archived from the original (PDF) on 2015-02-07. ^ Howe, Stephen. "Empire by Sea." Empire: A Very Short Introduction. Oxford: Oxford UP, 2002. 67. Print. ^ a b Jeffrey, Alex, and Joe Painter. "Imperialism and Postcolonialism." Political Geography: An Introduction to Space and Power. London: SAGE, 2009. 175. Print. ^ Robins, Nick. The Corporation That Changed the World How the East India Company Shaped the Modern Multinational. London: Pluto, 2006. 145. Print. ^ Howe, Stephen. "Empire by Sea." Empire: A Very Short Introduction. Oxford: Oxford UP, 2002. 78-83. Print. ^ Bakan, Joel. The Corporation: The Pathological Pursuit of Profit and Power. New York: Free, 2004. Print. ^ Azikiwe, Abayomi. "Burkina Faso: Masses Rise Up Against Neo-Colonial Rule." Global Research. Centre for Research on Globalization, 04 Nov. 2014. Web. 07 Feb. 2015. ^ "Dossier about emerging-market multinationals". D+C, development and cooperation. December 2015. Retrieved 21 December 2015. ^ Crotty, Epstein & Kelly (1998). Multinational corps in neo-liberal regime. Cambridge University Press. p. 2.